Update: The deal is now available throughout the US! Starting tomorrow, February 1, HTC USA will slash $100 off the price of its U11 flagship smartphone, regardless of color and storage capacity. This means that you'll be able to buy an HTC U11 64 GB for $549 (instead of $649), and an HTC U11 128 GB for $629 (instead of $729). The deal will be available until February 22, possibly only on HTC's official website - accessible via the source link below. Of course, the HTC U11 will soon be 1 year old, and interest for it has waned a bit. Still, $100 off its price should represent a nice deal for all HTC fans, especially since a new HTC flagship phone is likely not coming out in the near future (while the HTC U11+ isn't being officially released stateside). 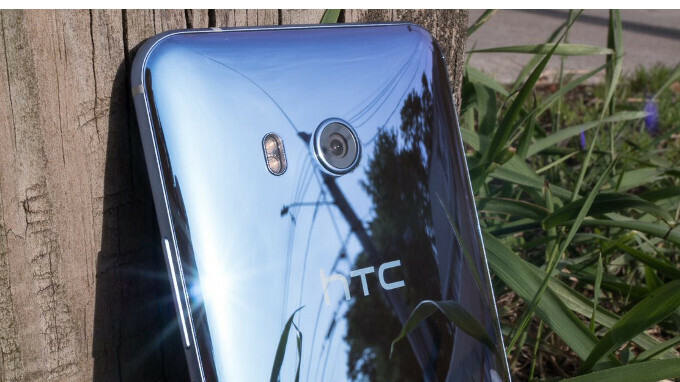 Unlike plenty of other high-end smartphones launched last year with Android 7 Nougat on board, the HTC U11 already received its Android 8 Oreo update, at least in the US. You can take a closer look at the handset in our HTC U11 review. "Hope they could learn from their mistake next time" Now that Google has closed the deal and owns HTC's smartphone design team, will there even be a next time? The future of HTC's smartphone division seems unclear at the moment... The Pixel's future however, could be bright! I think Google is more serious about hardware now and doubt they will do what they did with Moto. Well, The U11 "FAILED" Jerry's durability test so I don't think it's worth it. Even Nokia's budget Nokia 2 with a sub $100 price-tag passed his test so I see no reason why a multi-hundred dollar smartphone (That makes it sound kinda expensive, eh?) should. Best to opt for OnePlus 5T or Essential Phone. G'Day! And the Razer phone as well.